SAAMI gives Winchester’s straight-walled wonder – the .350 Legend – its blessing. Around 20-percent more penetration than a .243 Win. Approximately 20-percent less recoil than a .243 Win. Delivers nearly 15-percent more energy at 200 yards than the .300 BLK. The Winchester XPR bolt-action currently chambered for the cartridge. Deer hunters hemmed in by straight-walled-cartridge regulations, never fear! Winchester has you covered. The iconic company unveiled perhaps one of the most unique cartridges in a spell at the 2019 SHOT Show, introducing the .350 Legend. Essentially a modified .223 Rem., blown out to accept a .357-caliber bullet, the new offering has the potential to help those who hunt areas with restrictive rifle regulations reach out a bit more and hit harder. By Winchester’s billing, it shoots flatter and longer than most straight-walled cartridges currently available. Furthermore, by the company’s telling, it delivers more energy to a target than the .30-30, while producing less recoil than the deer-season classic. If that holds up in the field it’s nothing to turn your nose up at, give the mountain of venison the .30-30 has put on the table over the years. 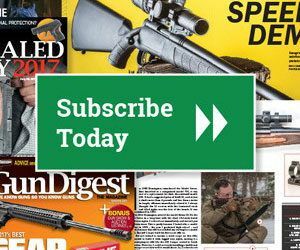 Last week, the .350 Legend had its final initiation into a full-fledged production cartridge with the Sporting Arms and Ammunition Manufacturers’ Institute accepting the cartridge. Good thing for Winchester, given the company has hit the ground running with the .350 Legend. Currently, the company offers six loads, including 150-grain Deer Season XP, 180-grain Super X, 145-grain USA Full Metal Jacket, 265-grain Super Suppressed and 160-grain Power Max Bonded. A taste of what the cartridge offers, the Super X load leaves the muzzle at 2,325 fps, only losses 15-percent of its velocity at 100 yards and delivers 1,289 ft/lbs of energy at that range. That should get the job done. NEWTOWN, Conn. — The Sporting Arms and Ammunition Manufacturers’ Institute® (SAAMI®), the firearms and ammunition industry’s technical standards-setting organization, is pleased to announce the acceptance of a new cartridge and chamber standard, the 350 Legend (350 LGND), introduced by Winchester Ammunition. For more information of the .350 Legend, please visit www.winchester.com. Being a modified .223, will it function in a AR-15 platform? Yes. I believe CMMG already has a rifle out — the Resolute.